Video consumption was one of the talking points of Digital Marketing in 2018. It is not expected to slow down in 2019. Social platforms are readily investing in video content making it an integral part of every marketing strategy. There should be a particular objective while working with the audience. One of the best examples is of Instagram. They will invest in IGTV so that longer videos can be created leading to more time spent on the site and more revenue generation option. The same can also be said for video ads. They have a greater impact than images as they portray the message in a better way. Artificial Intelligence (AI) has already been introduced to the world in 2018. But its real value will be seen in 2019. The way how users behave has changed with time. Let’s take an example of the search engine. The way users do an online search has changed a lot. Instead of typing everything, there are voice assistants to do all the work. Echo, Siri, Cortana, etc. are some of the software which helps in that. 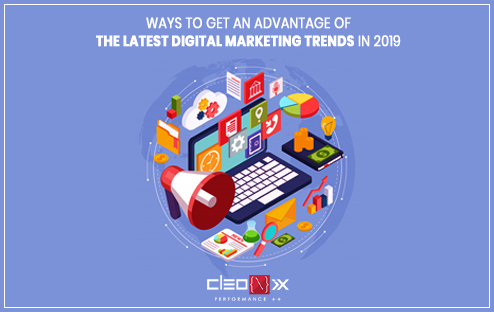 Voice search and Rankbrain are going to play an integral part in Digital Marketing in 2019. This is a trend which cannot be sidelined. In 2019, it’s all about the data. Digital Marketing is going to depend a lot on data. And why not. There are different channels and platforms which are being used. There will be a bigger amount of data as the platforms increases. It will be possible only with the help of the right set of tools. You will be able to learn a lot about your audience if data-driven marketing is used. This will help in learning the customer needs and assist you in designing better campaigns in the future. Adoption of voice technology is escalating every year and 2019 will follow the same trend. Marketers just need to understand how to benefit from this trend as consumers are ready to spend more time on Voice technology. The same is also true for Social Media stories. In 2018, there were more than 400 million active Stories users every month. Instead of social feeds, Digital Marketing should be planned around social media stories.